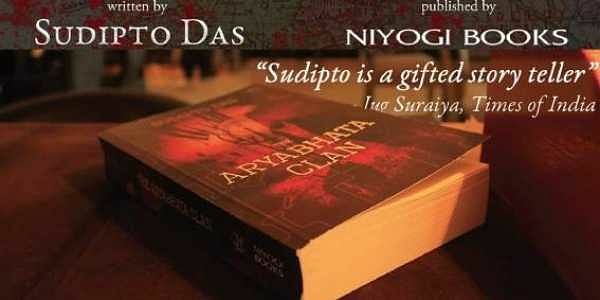 The book ‘Aryabhata Clan’ traces the struggle of the Fareedi family to thwart the growing IS threat. ‘It’s like stealthily attacking the brain with some deadly, invisible virus and rendering the entire world brain-dead, slowly, seamlessly, without being noticed’Peppered with facts from history, and combined with his expertise in linguistics and music, the author spins a thrilling yarn that spans through three generations of the Fareedi family, the protectors and torch bearers of an ancient knowledge. Enfolded in the weaves of a carpet of age old motifs lies a knowledge which may avert communal carnage. Three gruesome murders through the subcontinent to wipe out signs of the valuable carpet set the events rolling and it’s up to Afsar Fareedi, a linguistic paleontologist, to decode the mystery and bring the malefactors to book. “The seed thought of the book came from an article by a carpet collector. He said the motifs on the Turkish and Persian carpets dates back to about 4,000 years and have not undergone many changes over the years. They were inspired from the motifs of the Indus Valley civilization. It is intriguing to notice the extent of exchanges that took place in history,” says Sudipto. The author, an IIT graduate, a TEDx speaker and a musician, says it took about five years to bring out the book since it involved a meticulous research on languages, medieval history, religion and also the IS manuals. Many sequences were also influenced by news articles. Even the antagonist is modeled on a real life ‘radical professor’. “The research on the language and usages especially in Arabic had to be exhaustive for authenticity,” he says. He was also of the view that languages do not really become lost. Citing the example of Sanskrit, he says languages may die down but they give rise to modern day languages and it is up to the users to keep intact the knowledge handed down over the centuries. 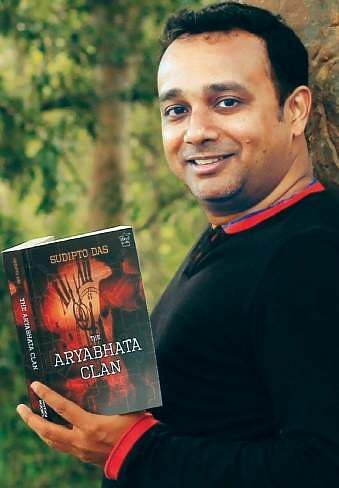 At present the multi-talented author says his time is taken up by his professional commitments in Bengaluru where he heads a startup, InSilico Solutions and Services. He signs off saying there may be a sequel to The Aryabhata Clan someday.